Make yourself at home in one of the 27 air-conditioned rooms featuring kitchenettes with refrigerators and stovetops. 32-inch flat-screen televisions with satellite programming provide entertainment, while complimentary wireless Internet access keeps you connected. Conveniences include safes and desks, and housekeeping is provided daily. Make yourself at home in one of the 54 air-conditioned rooms featuring refrigerators and LCD televisions. Rooms have private balconies. Complimentary wireless Internet access keeps you connected, and cable programming is available for your entertainment. Private bathrooms have complimentary toiletries and hair dryers. Featured amenities include complimentary newspapers in the lobby, dry cleaning/laundry services, and a 24-hour front desk. 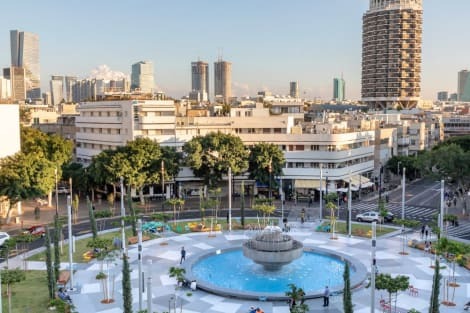 Planning an event in Tel Aviv? This hotel has 2153 square feet (200 square meters) of space consisting of a conference center and a meeting room. Self parking (subject to charges) is available onsite.